There are a couple Instagram feeds I stalk for interior design inspiration and one of them is Consort Design. I have loved almost every project. 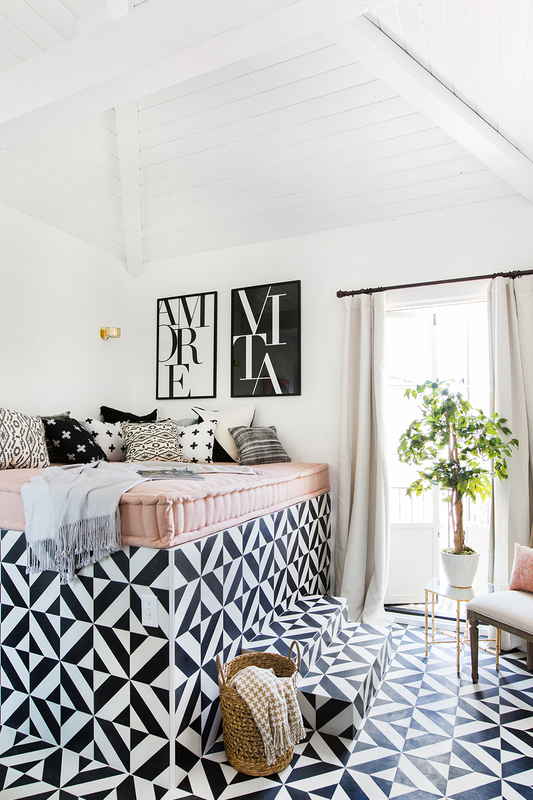 So, when I came across this guest house they designed for Pretty Little Liar's Shay Mitchell, I wasn't surprised at how good it was. Guys, it is sooo good. I really love how light and bright the guest house feels. I am also loving the pink, white and black combo. I am not a huge fan of pink, but I really don't mind it here. Ok, I'm going to stop "talking" so you can get into the design below. See the entire tour on Consort Design's blog.